KUALA LUMPUR (Feb 12): The Prime Minister’s Office (PMO) announced the establishment of the Economic Action Council (EAC), which will respond to and take action to address economic issues faced by the public based on their feedback. “The main objectives of the council are to stimulate economic growth, ensure fair distribution of wealth and improve the wellbeing of the people. The council will also focus on issues related to cost of living, labour, poverty and home ownership,” it said in a statement yesterday. 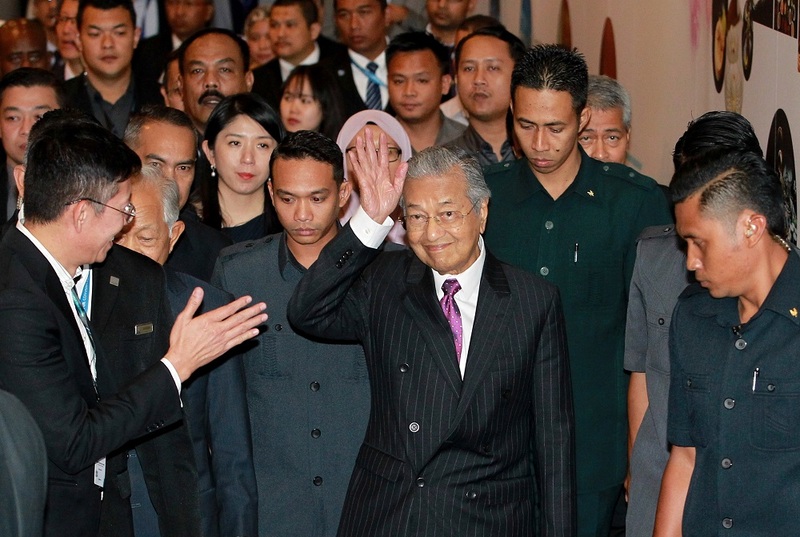 Members of the council include Prime Minister Tun Dr Mahathir Mohamad (pictured) as chairman, along with Economic Affairs Minister Datuk Seri Mohamed Azmin Ali, Finance Minister Lim Guan Eng, International Trade and Industry Minister Datuk Ignatius Darell Leiking and the prime minister’s economic adviser Dr Muhammed Abdul Khalid. Other members of the council include former international trade and industry minister Tan Sri Rafidah Aziz, Permodalan Nasional Bhd chairman Tan Sri Dr Zeti Akhtar Aziz and Council of Eminent Persons member Professor Dr Jomo Kwame Sundaram. Asean Business Advisory council chairman Tan Sri Dr Mohd Munir Abdul Majid, Federation of Malaysian Consumers Associations (Fomca) chief executive officer Datuk Dr Paul Selvaraj, lawyer Bah Tony @ Amani William Hunt Abdullah and Masa Depan Malaysia (Masa) Institute board of trustees member Nizam Mahshar are also in the EAC. The government’s decision to set up an action council to address the country’s pressing economic issues is deemed a step in the right direction. Having a designated council is expected to ease the concerns over a lack of clear clues about the country’s economic policy stance and direction, which adds uncertainties to the horizon. Among the pressing economic issues that need immediate attention of the council are the slowing down of economic activities amid external uncertainties, rising cost of living and high-cost pressure on doing business, according to economists.